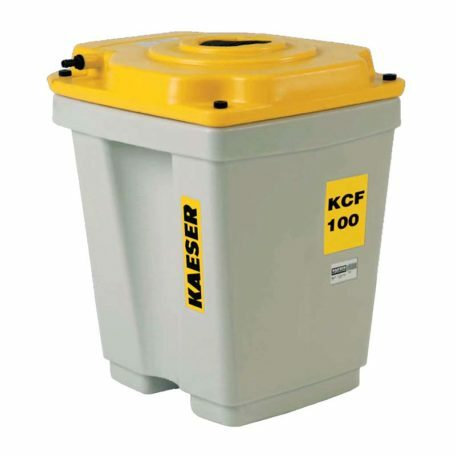 The Kaeser Condensate Filter (KCF) is a convenient and economical way to handle contaminated compressor condensate in most small to midsize systems. The easily-removable cartridge separates the oil from the water. The water can be discharged into any municipal drain. After 4-6 months of use, the cartridge is then sent for proper disposal in the disposal bag provided.